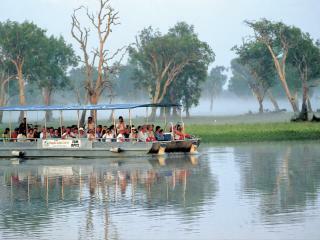 Explore the Northern Territory's Kakadu National Park on this 2 day accommodated tour from AAT Kings. 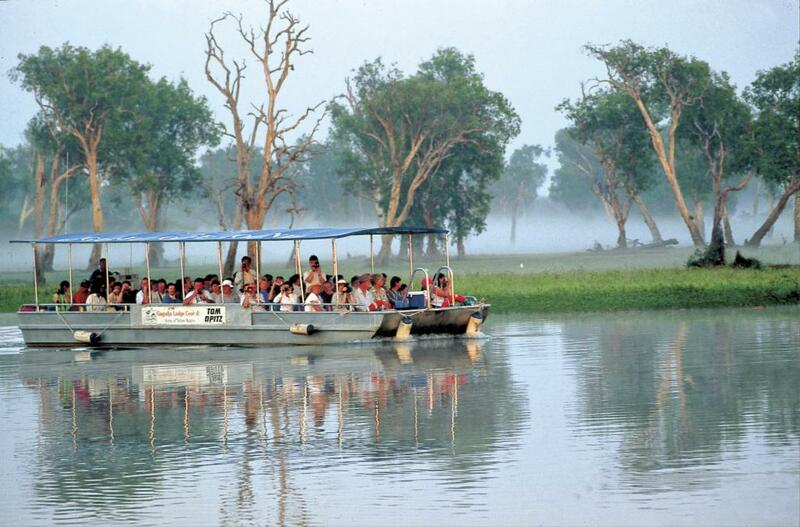 Cruise the famous Yellow Water Billabong in search of the saltwater crocodile, view the Aboriginal rock art at Nourlangie and visit Warradjan Aboriginal Cultural Centre. Accompanied by a traditional Aboriginal guide will provide you with an insight into bush tucker, rock art and the deep cultural significance of this special and remote area. 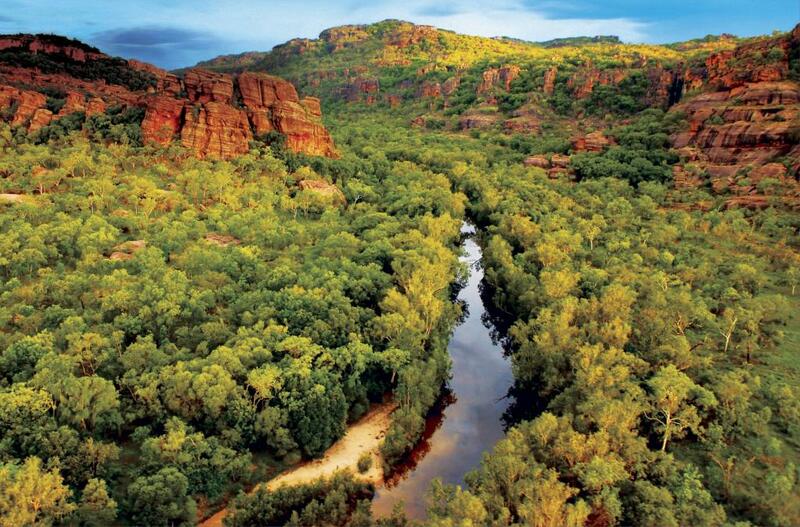 Day 1 Darwin - Kakadu National Park: Depart Darwin and travel along the Arnhem Highway, across the Adelaide River and Marrakai Plains, into Kakadu National Park. 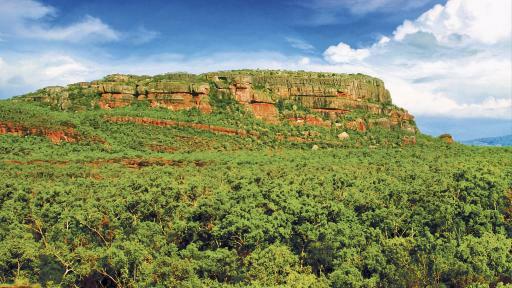 The park covers 20,000 square kilometres of landscape varying from rocky escarpment to the floodplains that are abundant with wildlife. 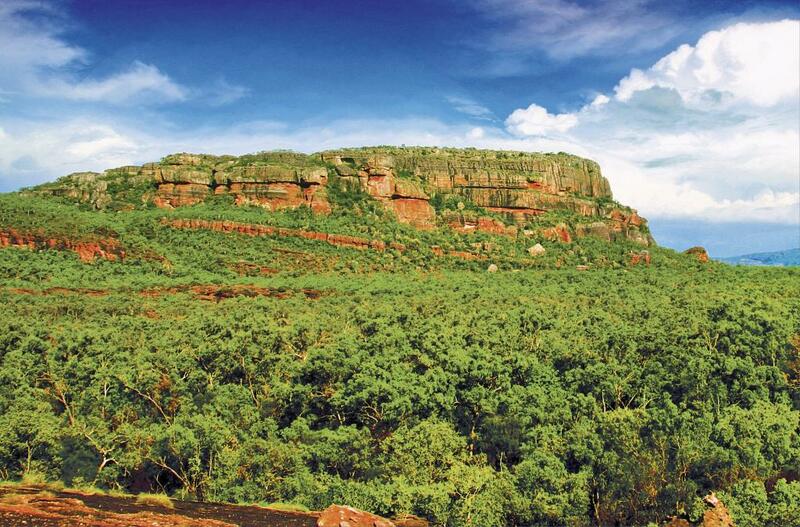 Stop at Nourlangie where your Guide will lead you to see the ancient Aboriginal rock art. 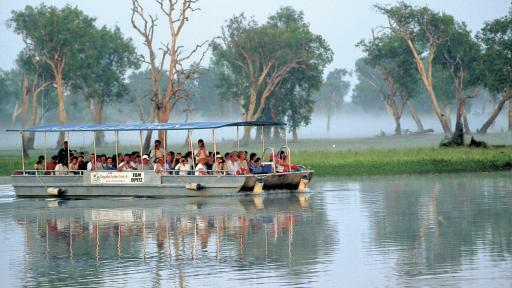 After lunch, join a Local Guide for a cruise on the famous Yellow Water Billabong. Search for saltwater crocodiles; see paper bark swamps, water lilies and the colourful range of birdlife for which this region is renowned. 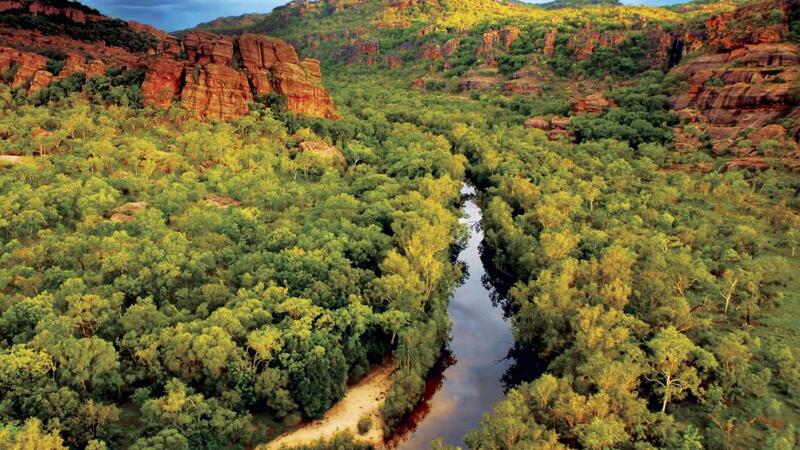 Visit the Warradjan Cultural Centre and view the informative displays depicting the traditions of the Aboriginal people in Kakadu. Day 2 Arnhem Land 4WD Adventure - Darwin: This morning travel by 4WD vehicle into Arnhem Land and the Mikinj Valley. 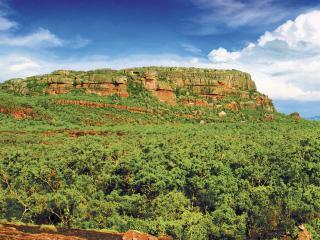 The spectacular scenery includes sandstone outcrops, escarpments, forests, floodplains and billabongs. You'll visit places inaccessible to most, including ancient rock art sites. Learn about traditional land ownership, bush skills, hunting, food gathering and bush tucker preparation. Meet Aboriginal artists at Injalak Arts and Crafts Centre in Oenpelli (conditions permitting). 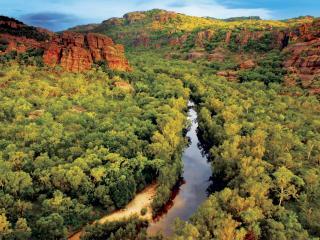 Most tours are accompanied by an Aboriginal Guide. Return to Darwin. Children: 15 years and under are charged at the child rate. Minimum child age is 8 years. Fitness Level: Low level of fitness required. There is a small amount of walking to view Rock Art. Note: During November weather conditions may affect inclusions, in which case alternative touring will be arranged.